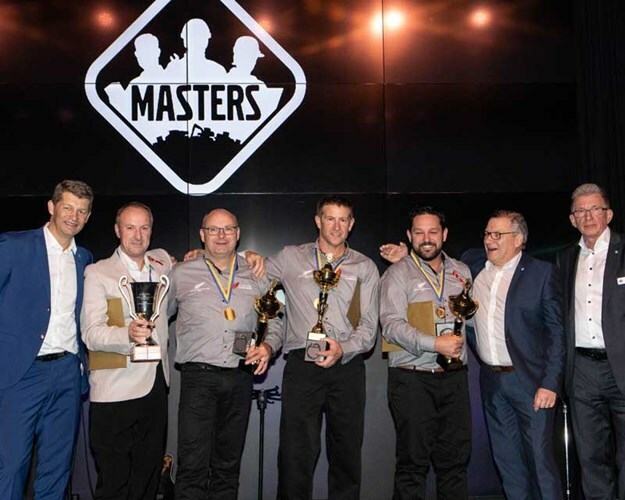 The TransDiesel crews, up against eight other highly experienced teams from across the globe, won the first and third place at the prestigious Volvo CE Masters finals after battling it out over two days in Eskilstuna, Sweden. This is TransDiesel’s first win. 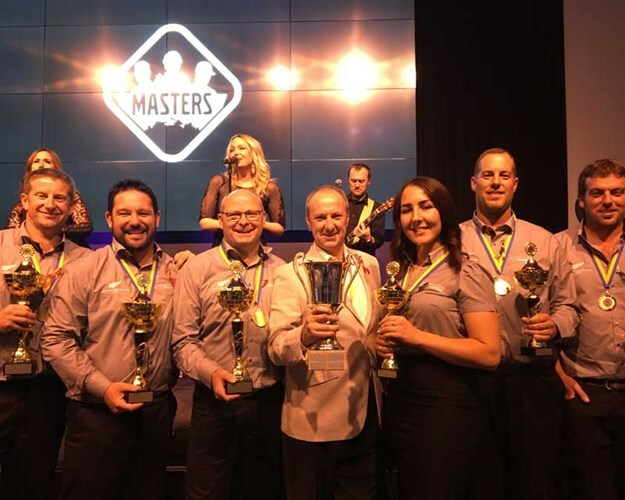 The annual Volvo CE Masters is a highly demanding skills competition open to technicians and parts personnel of authorised Volvo CE dealers worldwide. It’s designed to showcase the know-how and practical knowledge of Volvo-accredited staff. 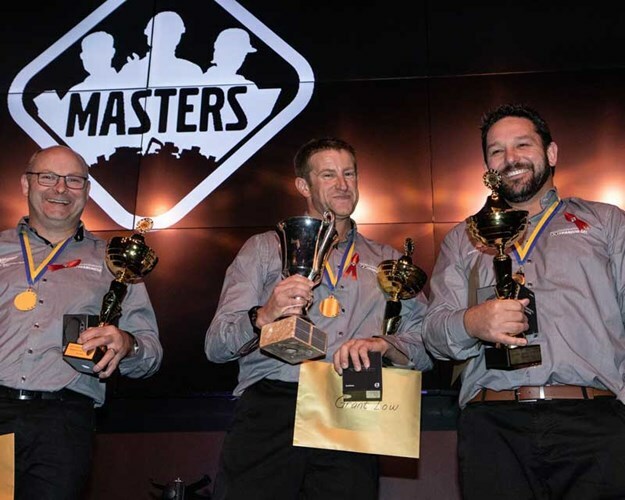 The winning team—Team Tech Whites—was made up of Mike Beilby (service), Grant Low (service), and Graham Walker (Parts) while Team Tech Blacks, consisting of Nathan Short (Service) Aaron Barnes (Service) Jessie Baucke (Parts), took third place. "After being placed second last time around, we wanted to go one better this year and are so proud of the two teams who represented us," says Mike McKessar, CEO TransDiesel Ltd.
"It’s fantastic that we had representation from across the company and New Zealand, and this truly reflects the quality of the people we have on the ground to service our customers’ machines." A special mention was made at the prize ceremony to Jessie Baucke who is the first ever woman to compete in the global finals. Jessie follows in her father’s footsteps, who also competed in the Masters finals for the previous NZ Volvo CE dealer. A total of 3235 applicants were tested over four rounds of competition before the finalists move to the last stage. Competing teams were judged on various performance metrics. Their technical and parts systems knowledge and skills are evaluated, alongside their judgement around the proper handling of tools, and demonstrations of Volvo’s brand values.